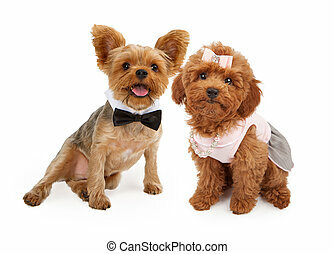 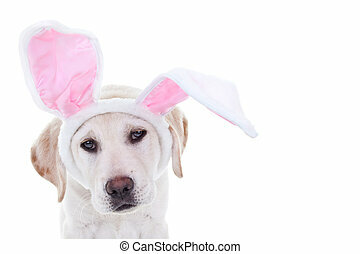 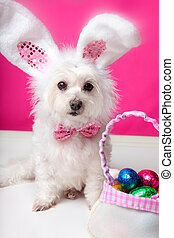 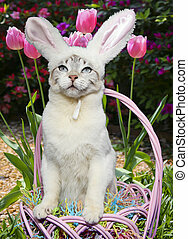 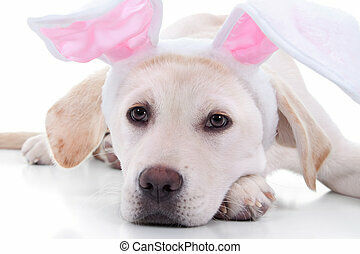 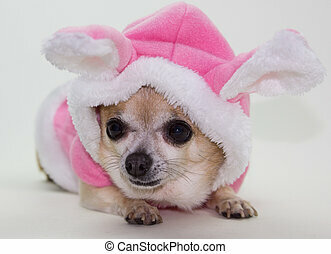 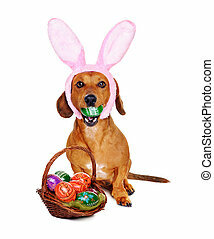 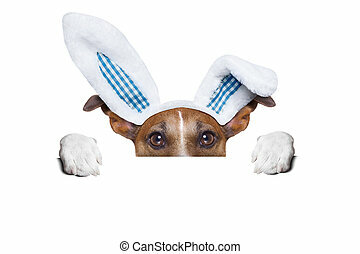 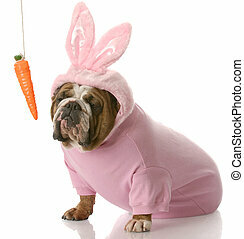 Dog dressed up as easter bunny. 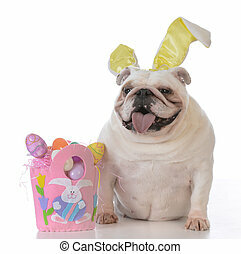 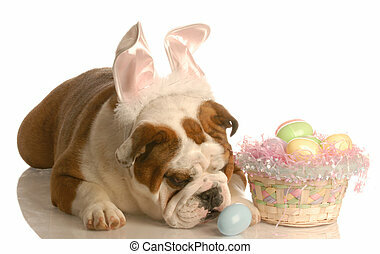 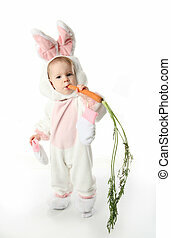 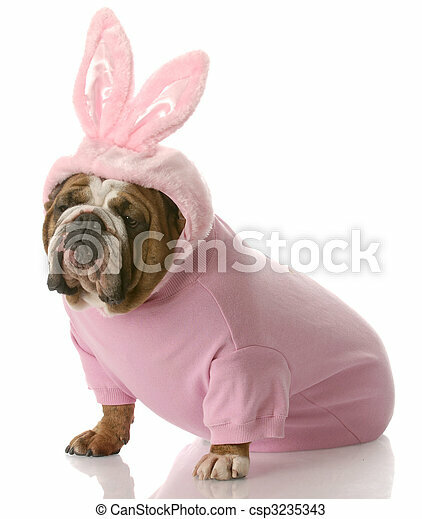 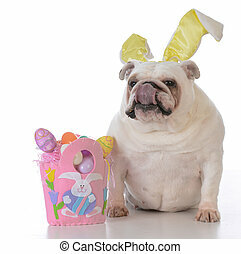 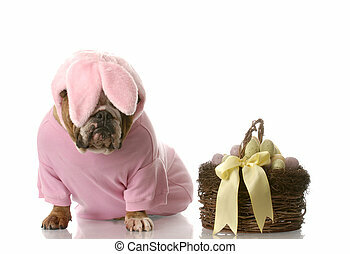 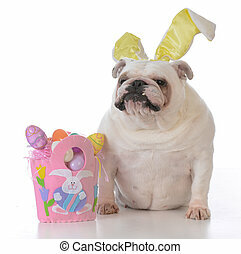 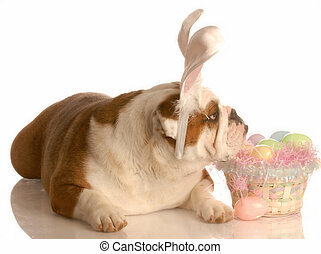 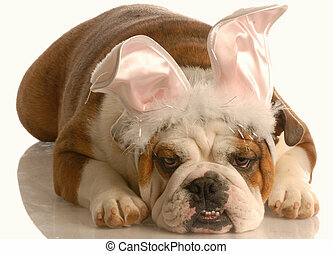 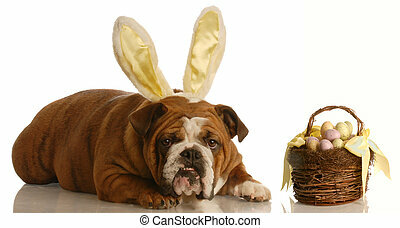 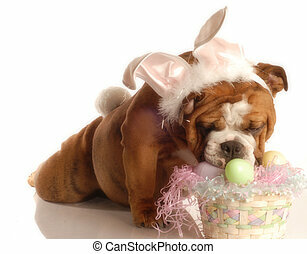 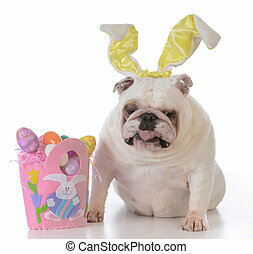 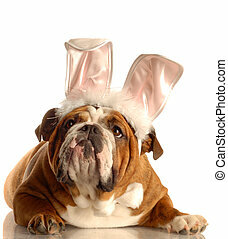 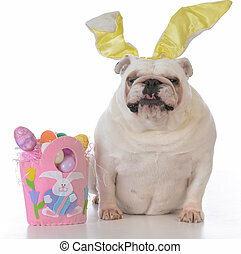 English bulldog wearing pink easter bunny costume with reflection on white background. 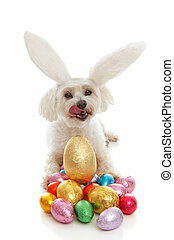 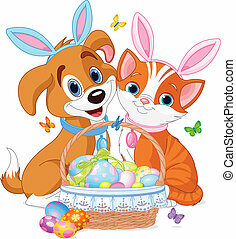 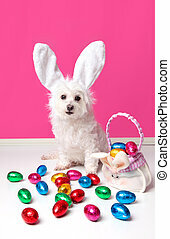 An adorable dog wearing bunny ears and surrounded by lots of colourful easter eggs. 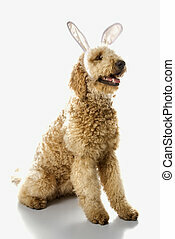 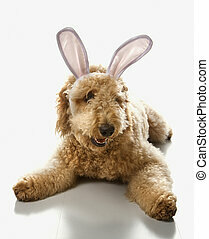 Goldendoodle dog in bunny ears. 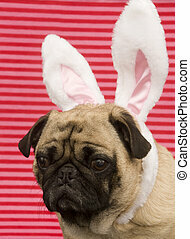 Easter Pug Against Pink Background.